His Beatitude Sviatoslav, the Father and Head of the Ukrainian Greek Catholic Church, issued a Decree on the establishment of the Patriarchal Council on Economic Affairs of the UGCC. The Council includes His Beatitude Sviatoslav as Chairman of the Council, Bishop Volodymyr Vijtyshyn, Metropolitan of Ivano-Frankivsk, ex-econom of the Patriarchal Curia, Bishop Vasyl Losten, Bishop Emeritus from the United States, Fr. Lubomyr Yavorsky, patriarchal econom, Fr. Andrij Maxymovych, administrator of the Patriarchal Curia, Fr. Mykhailo Melbyk and Fr. Stepan Balagura. As Fr. Lubomir Yavorsky told in the comments to our Department for Information, on January 12, at the Patriarchal Residence near the Cathedral of the Resurrection of Christ, the first meeting of the Economic Council took place, where the Decree on the creation of the Council was read and the decrees were handed to the members of the Council. Also, all the present were given the Statute of the Patriarchal Council on Economic Affairs. 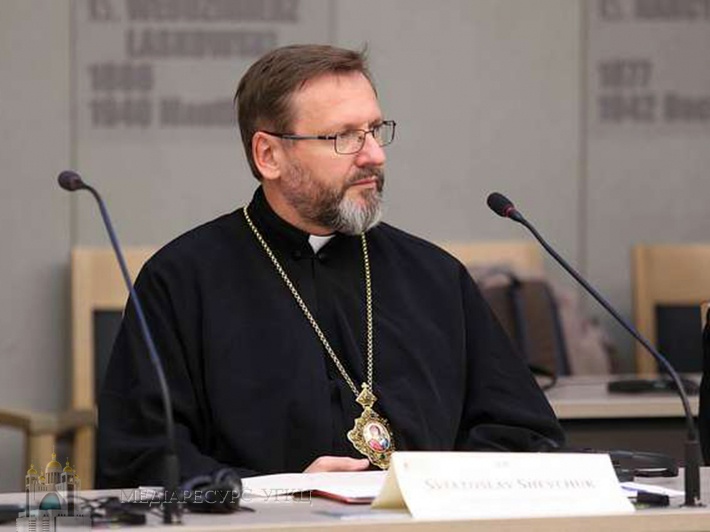 At the meeting, His Beatitude Sviatoslav noted that the Economic Council was called to assist the Father and Head of the Church in the prudent, skillful and effective management of the temporal property of the UGCC. "Today, the Church's requests for the implementation of its ministry are much greater than actual financial support. The newly formed Council will help to elaborate the strategies of financial development of patriarchal structures of the UGCC and corresponding models of ensuring their financial needs," said the Head of the Church.